The three photographs on this page are from the collection of Dave Ankers who was a fireman up until nearly the arrival of diesels at Worcester in 1963. 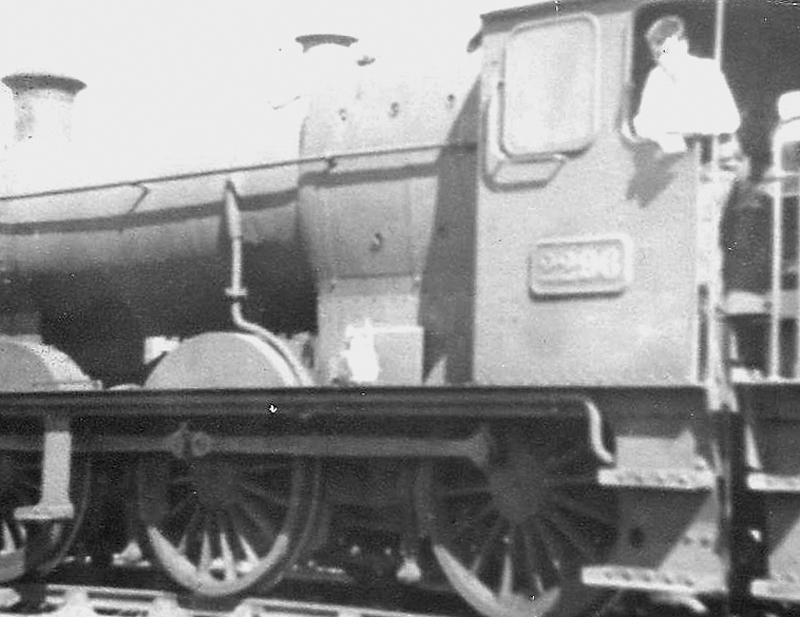 They are believed to have been taken by the late Vic Lord, an engine driver at Worcester but the whereabouts and ownership of the original negatives are not known and may well no longer be in existence. If anyone can shed any light on this we'd like to hear from you so we can seek formal agreement to use the photographs on this site. 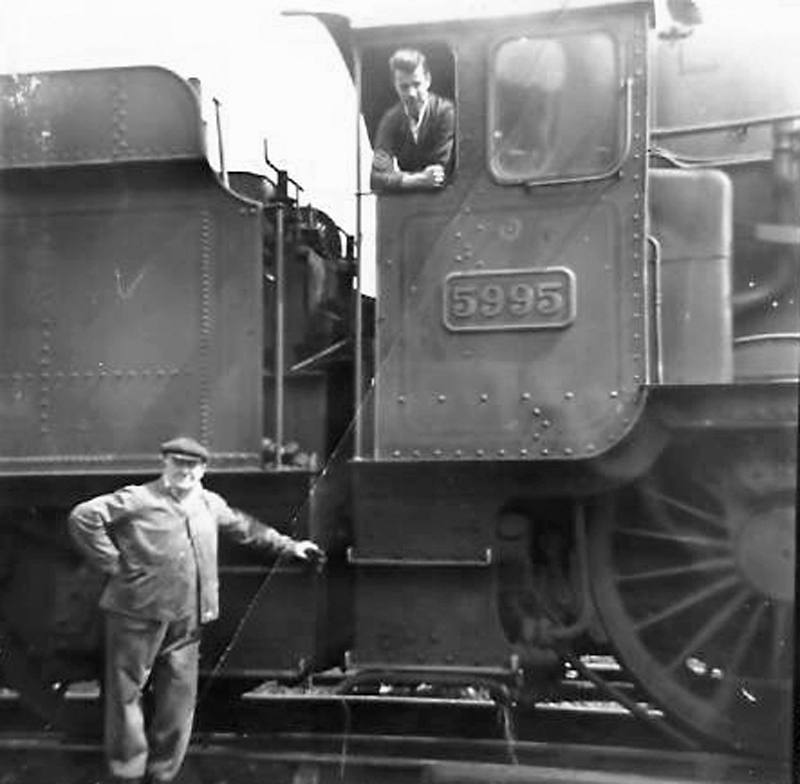 Standing beside the locomotive is fireman, Dave Ankers whilst looking out of the cab is his friend Charlie Lane who was a very good engine driver. The locomotive is Oxley's 'Hall' class 4-6-0 No.5995 'Wick Hall' in very clean external condition. The locomotive was withdrawn in 1963 and scrapped at Swindon Works having been built there in 1940. It is hard to date the photograph but probably in the late 1950s. Although the quality of this photograph is not brilliant it is of immense railway interest. 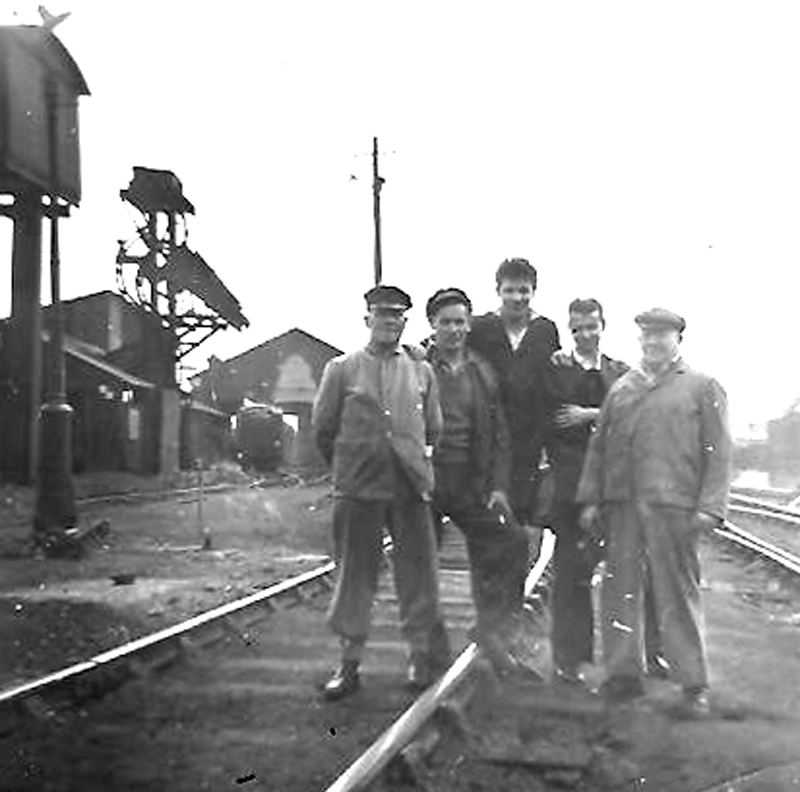 The five railwaymen are standing in the centre of the engine shed yard at Worcester with the coaling stage on the left and the passenger engine shed behind them. The five people are Charlie Manson, Vic Lord who was Dave Ankers driver and who died twelve months ago, Kerry Oxenham, Charlie Lane and Dave Ankers. Dave Ankers suggests that this photograph which shows himself in the cab of ex-GWR Collett 2251 class locomotive No.2296 was probably taken in 1958. This would fit quite nicely as No.2296 was a Worcester based engine from late in 1957 until being transferred to Pontypool Road early in 1959 from where it was soon to be condemned. "I am the very proud daughter of Vic Lord, Driver, Worcester and had no photographs of dad at work. You have made me very happy!! I now have a picture of Dad. Dad had no photos or images at home of his time on the railway so if the pictures were taken with Dad's camera I am delighted for them to be used. I love steam engines, it must be in the blood! Dad left the railway in c/1977 and went to work as a caretaker at Stanley Road School in Worcester. I looked after Dad until he passed away in 2006 from cancer. I miss him greatly and so wish that he had written down his wonderful memories of his time on the railway. As I say I have only this week looked on the internet in the vain hope of finding a picture with dad on and I have succeeded. One day I hope to travel on the footplate of a Great Western Engine it would be a lovely tribute to a wonderful Dad. Annie Connolly (neé Lord)." If anyone wishes to contact Annie please either email me or Chris Wilkinson of the Worcester Locomotive Society.